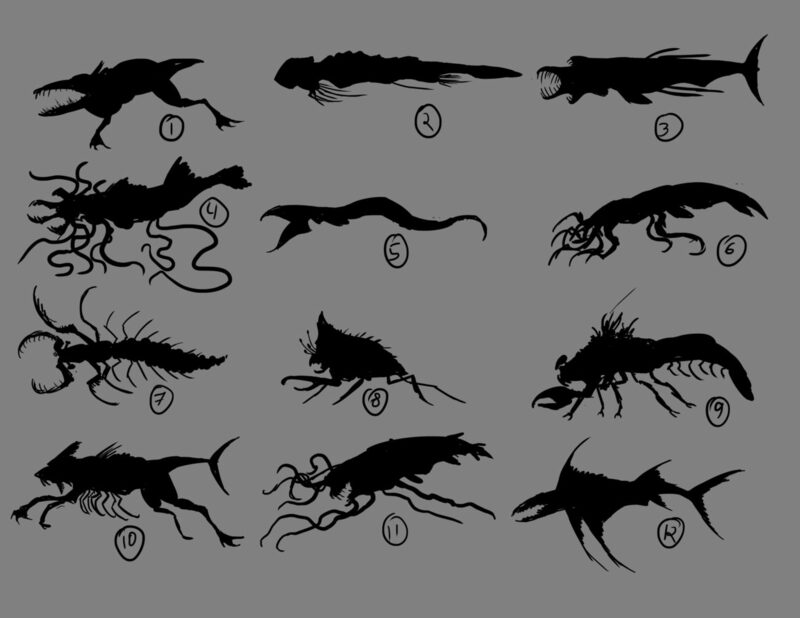 Good news: James Bear (“Moonsaber”), the artist behind the monster in SCP-860-1 and a ton of concept art for SCP-CB, will be taking part in the development of Subsurface by creating concept art and sprites for the game! The facilities will be located inside large cracks in the ice, close to the bottom of the ice sheet (see pic). 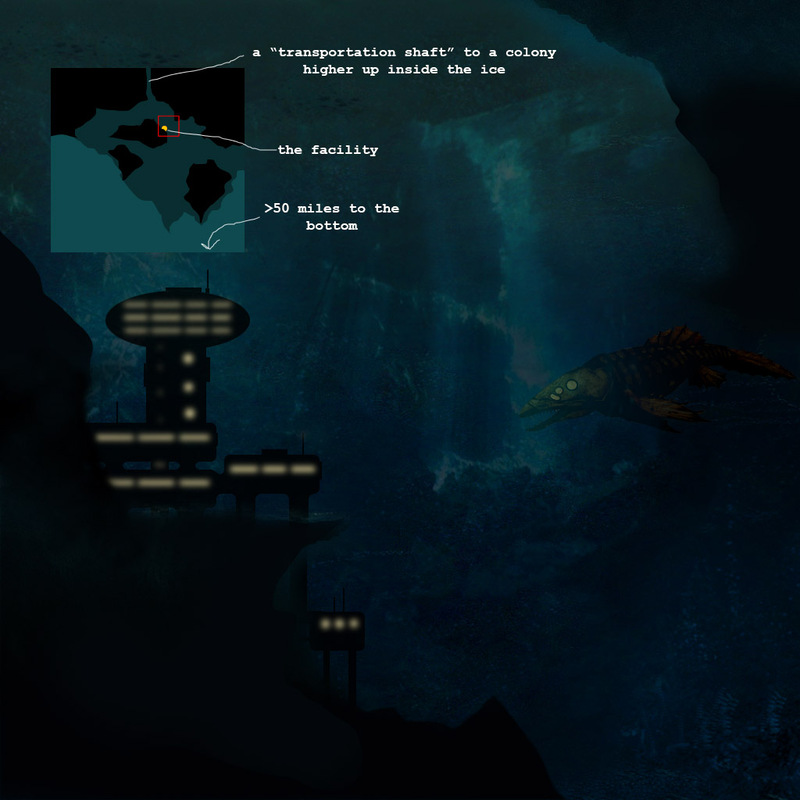 The actual bottom of the ocean is supposedly somewhere far below the facility and the ice formations around it, but it can’t actually be reached in any way. So there’s just this enormous abyss below the actual gameplay area with plenty of space for mountain-sized monsters to swim around. I think the temperature of the water should be around the same as in Earth oceans or a bit colder. I’m not 100% sure yet whether temperature should be a gameplay element or not: having to worry about the characters getting hypothermia if you don’t get them out of a flooded area fast enough might add some gameplay value, but in most cases drowning or being crushed by the pressure are more prominent threats and maintaining a comfortable room temperature might easily become just a tedious chore. But in any case, I’d imagine the temperature being somewhere around 40-70 F.
The ice layer is apparently at least a couple of miles thick in reality and should be very thick in the game as well for it to be stable enough to build any habitable structures inside it. No light should be able to penetrate it in that case, but I think it’s necessary for there to be at least some amount of light in the game. It would be pretty frustrating to get a completely black screen if you’re outside the facility in a diving suit and your light source breaks or runs out of power. And it wouldn’t make sense for any of the creatures in the ocean to have eyes, if their habitat had absolutely no light.So, there should be a little light there, just enough to barely see something moving near you if you don’t have an extra light source. I think it could be explained by saying that there are some kind of bioluminescent bacteria or something living on the ice. 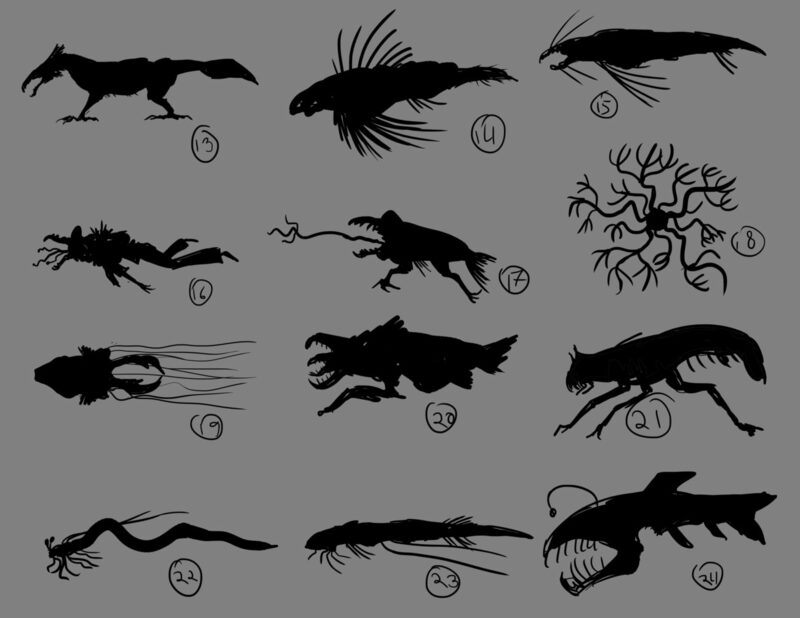 James does incredible concept art work. He worked on our previous game 610, so you are definitely in luck to have his skill!